and all things Synergistic Research. An eye-opening experience with Synergistic Research’s debut of their Galileo SX cables. We’re familiar with Ted Denney’s demos but what caught our attention this time around was their inclusion of a reel-to-reel. Michael Jackon’s Thriller was an unfamiliar experience. It was eerie in its smoothness and air. This system was able to dissect and reveal the amount of work involved in this masterpiece. It also shined a new acoustic light onto these recordings – there are lower level nuances we haven’t heard previously. However, for the most part, thoughts of resolution, layering, and focus just doesn’t come to mind. The music just flows without grain, hiss, or abrasion. 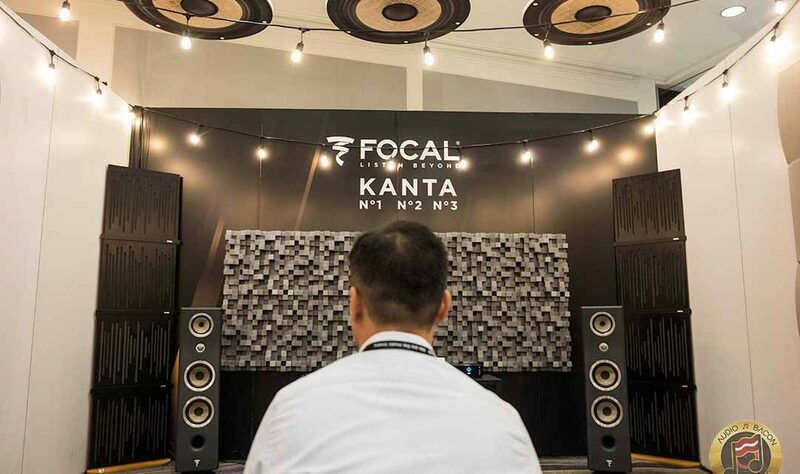 One of the best displays of analog we’ve ever heard. Wynn Audio makes it on the list again this year. 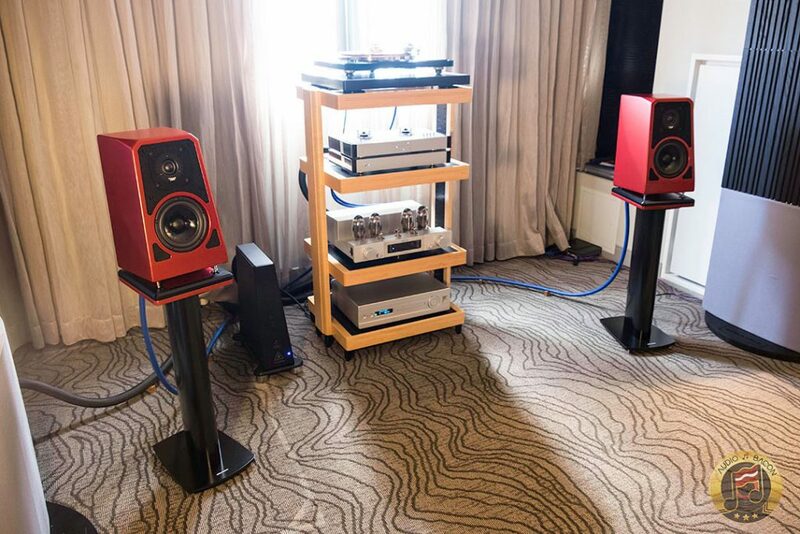 With such a small footprint, I was startled by how much bass was coming out of these beauties. 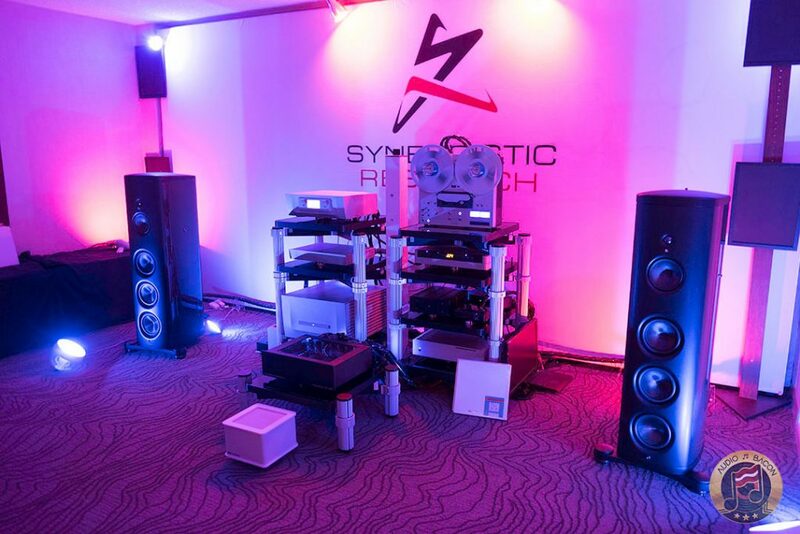 Even when I was told there wasn’t a subwoofer in the room, it was difficult to accept. 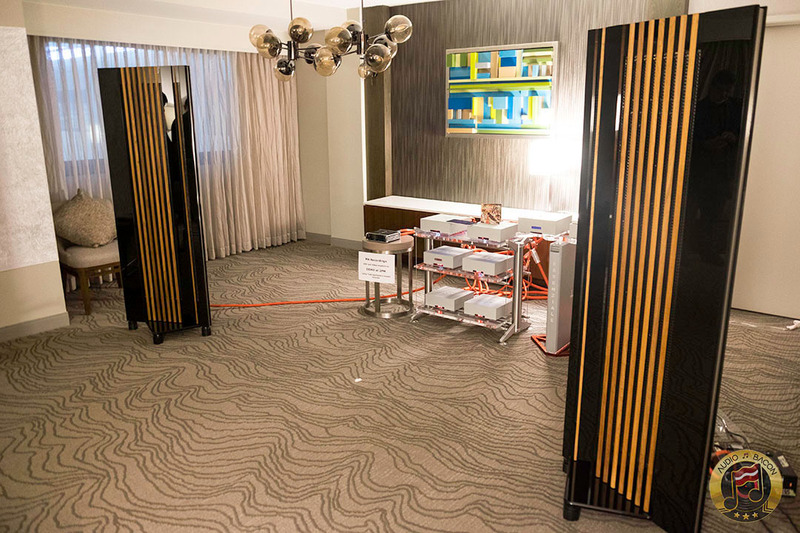 Wynn mentioned this was due to the Karan Acoustics KA S400 amplifier – which pushes 420 watts of power into 8 ohms. I listened in disbelief. The synergy is simply otherworldly. From the gentle piano play by Anne Bisson in September in Montreal to the palpable snare snapping in from the left, it was an incredibly immersive and enlightening experience. Her vocals float dead center with wonderful resolve. 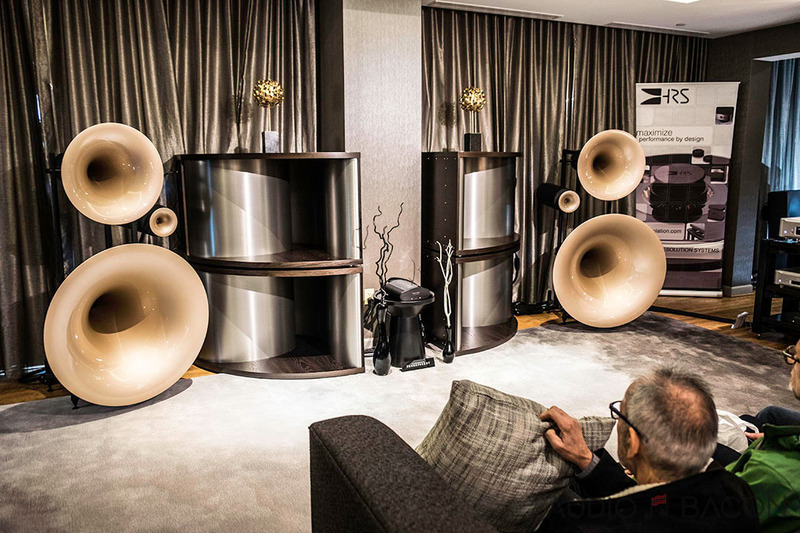 There’s an addictive quality in regards to the romanticism in the articulation of these speakers. 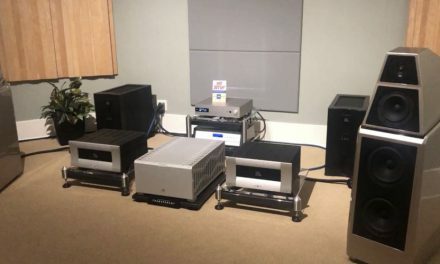 From the creepy-real finger snaps of Elvis Presley’s rendition of fever and atmospheric cues of AURORA’s Running with the Wolves, this system exhibited an uncommon visceral envelopment. You could feel the performers in front of you – with the proper amount of density and perspective. No distortion, no digital edge, just an uncanny presence. The low-end locks me into a continuous head-bob while the midrange articulation keeps my head in the clouds. 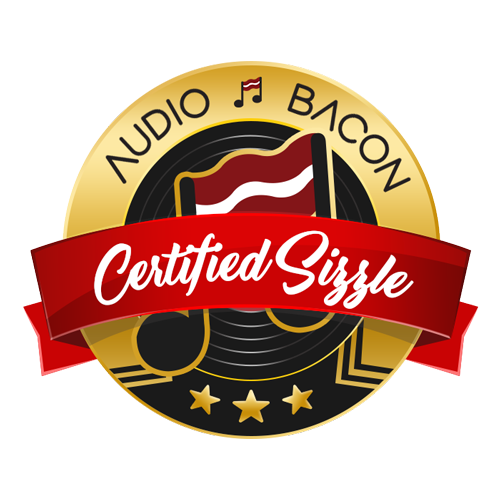 The emotion and groove of the music are fully realized in this system. E-Glo S phono preamps with LPS power supply. 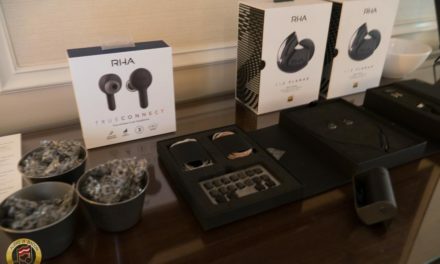 Aside from the outstanding craftsmanship and being placed in a suboptimal position (they’re designed to be placed on a desktop, shelf, etc), the TuneTot is exemplary in its sonic performance. Our most memorable moments at the show was towards the end of It’s So Easy to Love You by Carey Bell. The TuneTots remained tuneful and preserved the tonal quality of the rhymic drums and textured excitement of the harmonica. The TuneTots are able to track dynamics and extend upwards into a realistic threshold of air and brilliance – while keeping a grounded and naturalistic foundation in the mids and lower mids. This was further reaffirmed when Do Right Woman, Do Right Man by the late Aretha Franklin was played. There’s an undeniable sweetness of soul, tangibility, and essence to the presentation. Impressive, especially for such a little speaker. I wrote quite a bit about the Eikon in my coverage here. 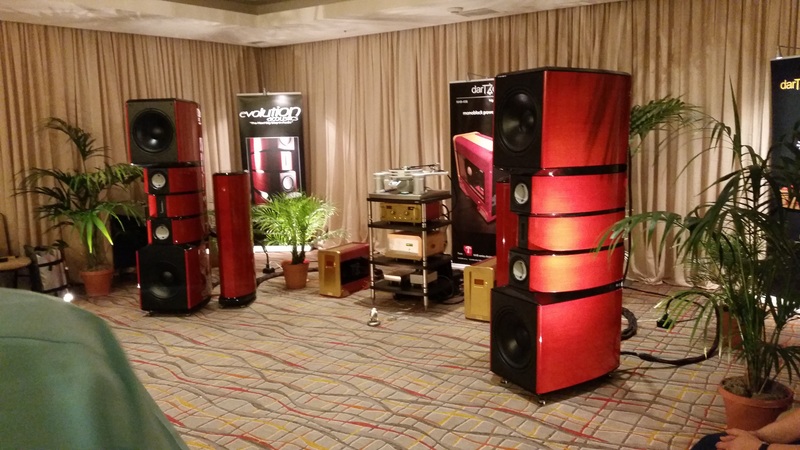 Feynman’s The Farewell Courtyard that was played at AXPONA 2018, was played again this year at RMAF. It was interesting to hear the improved clarity and depth this time around. You feel as if there are 3D objects dangling in front of you. This is amazing considering no room treatments, no large monoblocks, or turntables. Everything is controlled at the digital domain. 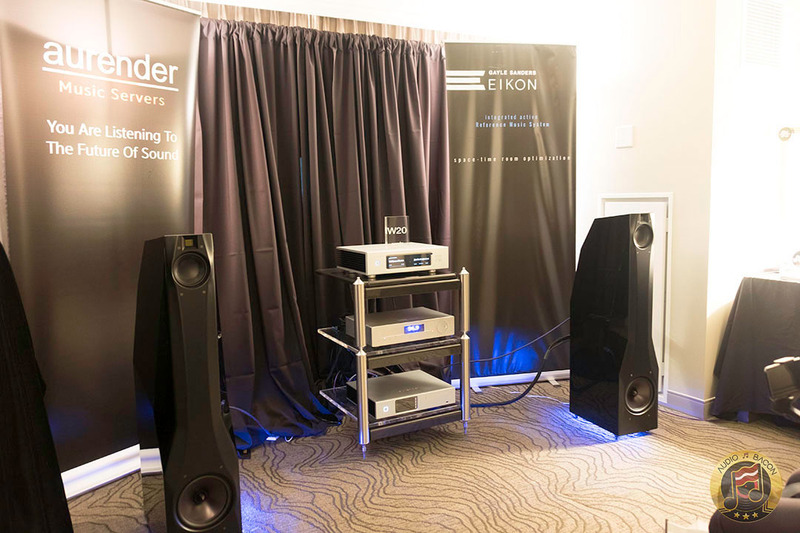 The Eikon system almost comes off as a “shortcut” into the high-end audiophile world. You could definitely spend much more on a lesser system. 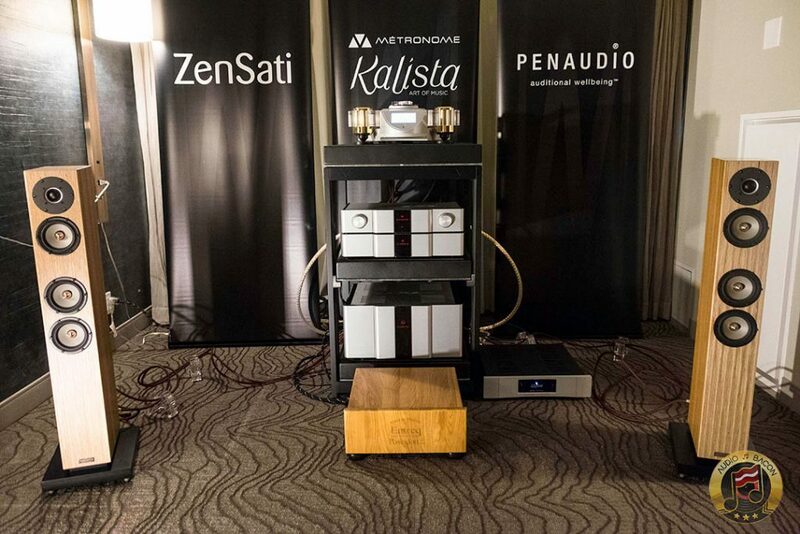 Not for those audiophiles who enjoy tinkering with cables and amplifiers but very compelling for those who don’t. PreviousSOtM sNH-10G – The Audiophile Ethernet Switch is Here!